I wanted to experiment with my denim pieces a more, so I threw on this gorgeous, black blazer over my denim button down. 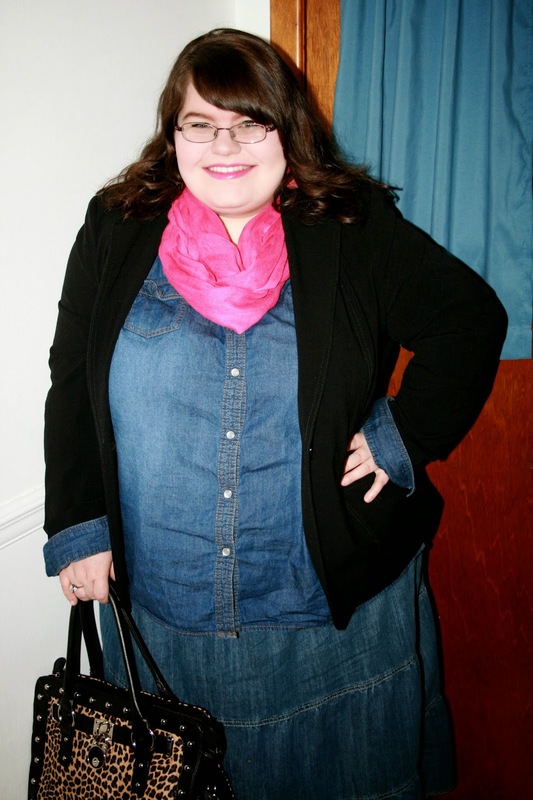 I cuffed the sleeves of my denim button down up over my blazer. I think it turned out pretty cute! I've never worn this shirt like this before, so I'm loving it. I wanted to wear denim from top to bottom, so for my last denim piece, I decided to throw on this skirt. It's super comfortable. 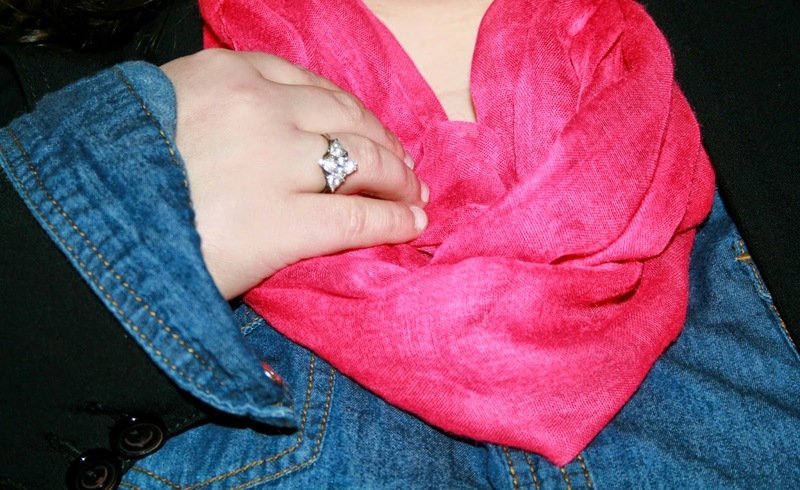 I wanted to spruce up my denim a bit more and make it fun, so I added pops of pink with the scarf and earrings. I also wore pink lipstick! I love matching my lipstick to my scarf. It makes me feel nice and put-together. Is that weird? Probably. I just had to add a print in this outfit somewhere, so I added my leopard purse to top the outfit off. I know you've seen this purse in pretty much all of my outfit posts. I just love it so much! It's spacious, gorgeous, and cheap! Gotta love cheap things, my friends. It was super cold tonight, so I wore this outfit to church. It was comfortable and kept me warm at the same time. That's definitely a win! What do you like to do to spruce up a plain outfit? Hi beautiful girl!! I LOVE your outfit and how you match your lipstick with your scarf. You look awesome!!! Jeans and pink are just made for each other. You look great and your bag is awesome. Susan- Thank you so much!! You are always so sweet!! Joanna- Ugh, right?! I love jeans and pink together. Thank you so much!! Loving this chambray top girlie! 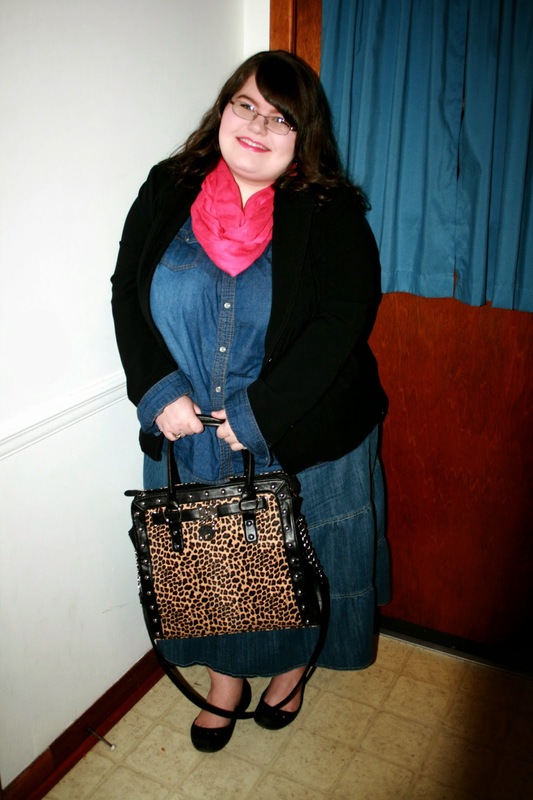 And your pink scarf with the leopard bag is perfection! Happy friday love! P.S. think you would adore the Feeling Tribal outfit post we shared on the blog today! Thank you so much, Jennifer! You are too kind. 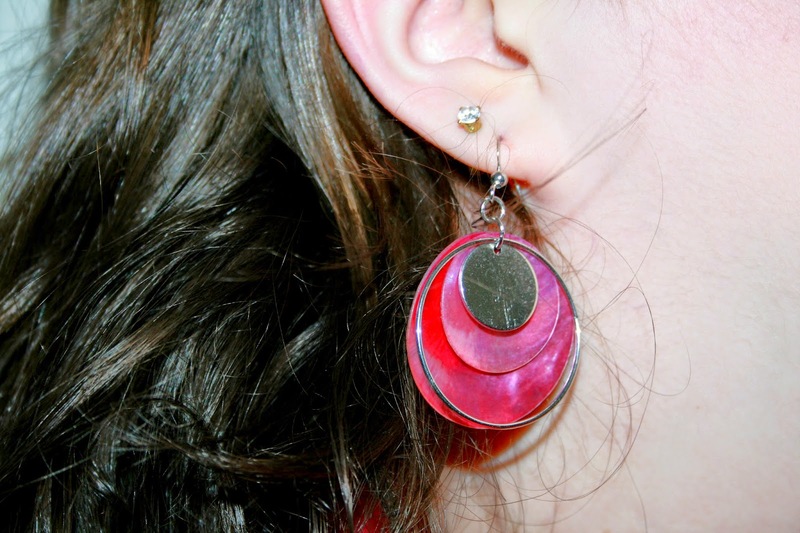 :) Love the Tribal post!